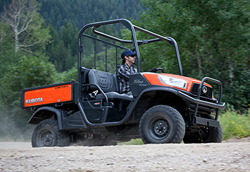 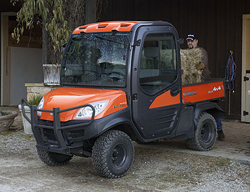 One Source has gas and diesel powered jobsite utility vehicles for rent from Bobcat & Kubota. 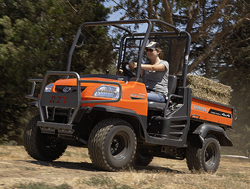 These four wheel drive (4WD) vehicles are great from hauling personnel, materials, and tools around worksites and industrial plants. 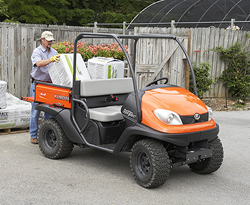 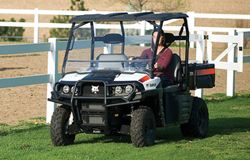 Enclosed cabs are available on certain models, and are standard on the RTV1100.